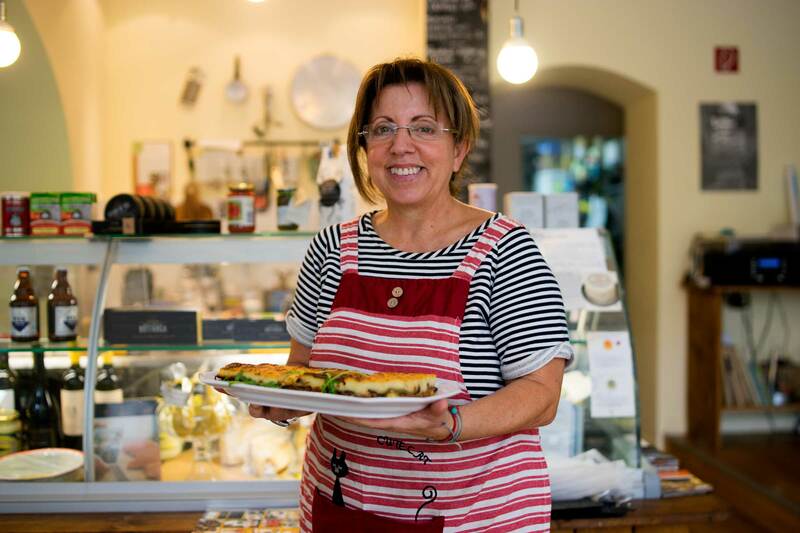 Rises Delicacies is a lovely little greek deli next to Weinmeisterpark where a couple of extraordinary friendly ladies cook some of the best Greek food in Berlin. It’s also the place to go if you’re looking for high quality ingredients like oil, honey and cheese from the land of philosophers, gods and pillared buildings. Rises Delicacies is one of those Berlin eateries that managed to fly under my radar for almost two years before Kavita finally dragged me into the place. The greek deli opened in November 2013 and one of the reasons I never stepped inside was because I thought this was just another one of those ordinary, Italian delis selling boring and overpriced ingredients. Turns out I was pretty wrong. There is nothing ordinary about this place. “Rises” means roots and stands for the owner Valli Paizi’s desire to tell story about the origin and variety of Greek food. 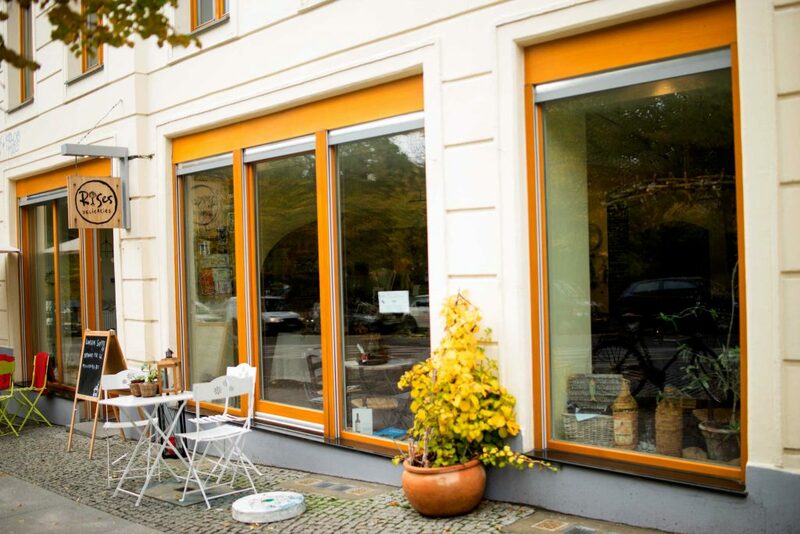 Valli and here family handpick the best Greek artisanal producers from all over the country and privately import their products to their store on Veteranenstraße. 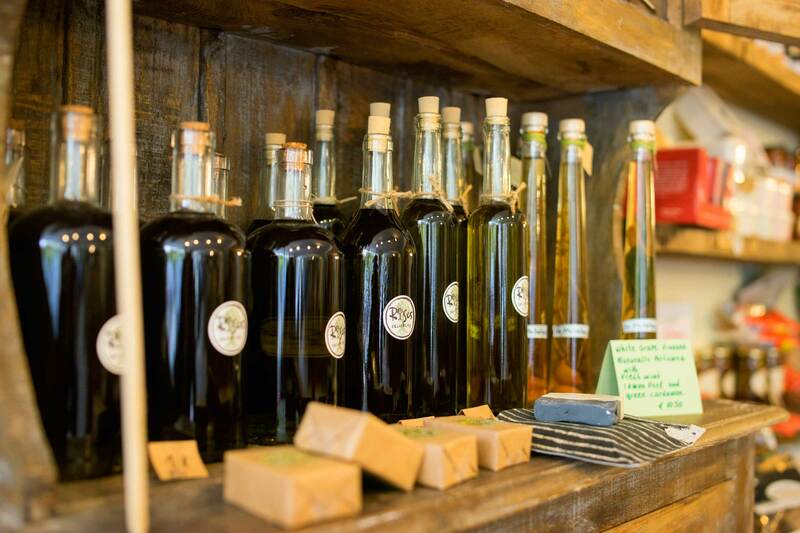 Except from being able to buy all these lovely things in the shop, the very same ingredients are used in the kitchen for the very delicious food that’s served throughout the day. They serve this Greek pasta dish, it’s called Mylelia, and it’s this Tagliatelle looking pasta that’s been tossed in sheep butter from Crete and then topped with a basil tomato sauce. Smashing! 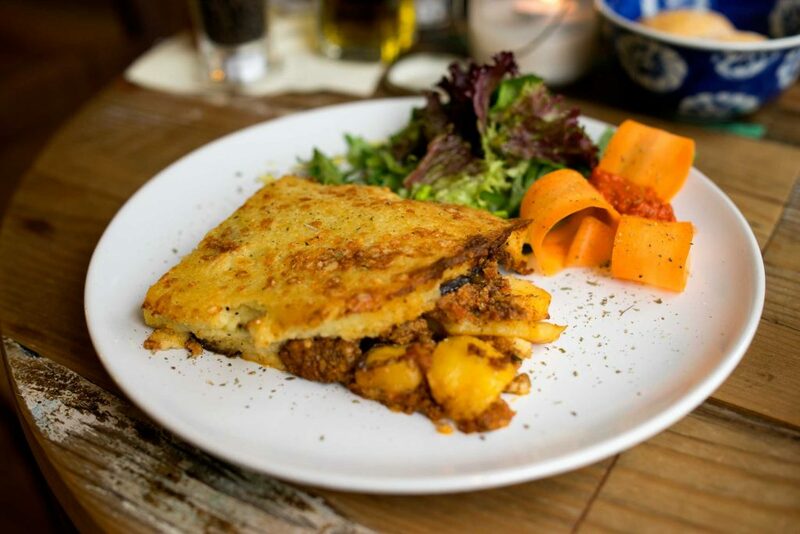 Or the Moussaka, one of the most iconic Greek dishes you can get; order it at Rises and you won’t be disappointed. The dish of layered minced meat, aubergines and sauce béchamel is pure soul food. Sometimes they also bake these little Greek empanadas with cheese and spinach and they are the most amazing little parcels, perfectly flaky pie dough that breaks perfectly on a first bite only to reveal the deliciously moist filling. 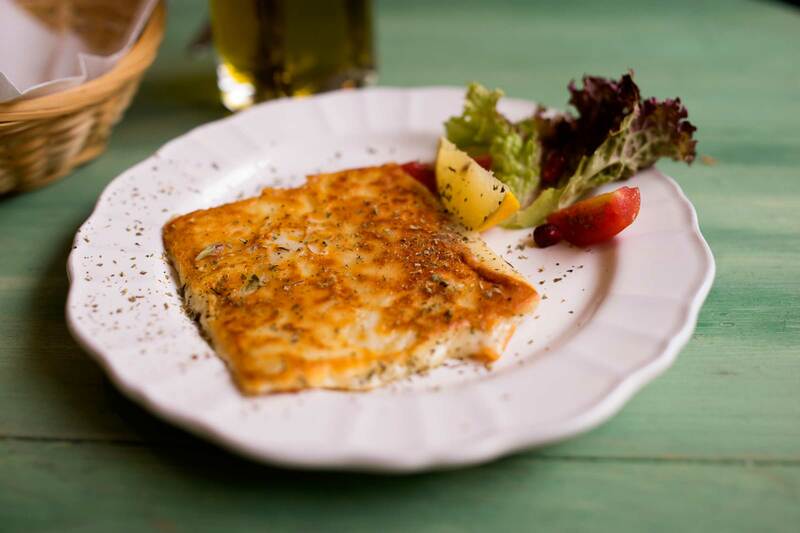 The selection of meze is great, my favourite is the fried Saganaki cheese, a plate of melted, crusty cheese that always provokes strong feelings of affection within me. I just can’t help it. The aubergine caviar is also very solid and the same goes for the meatballs, although I must say that the latter didn’t reach up to the level of the other dishes mentioned. 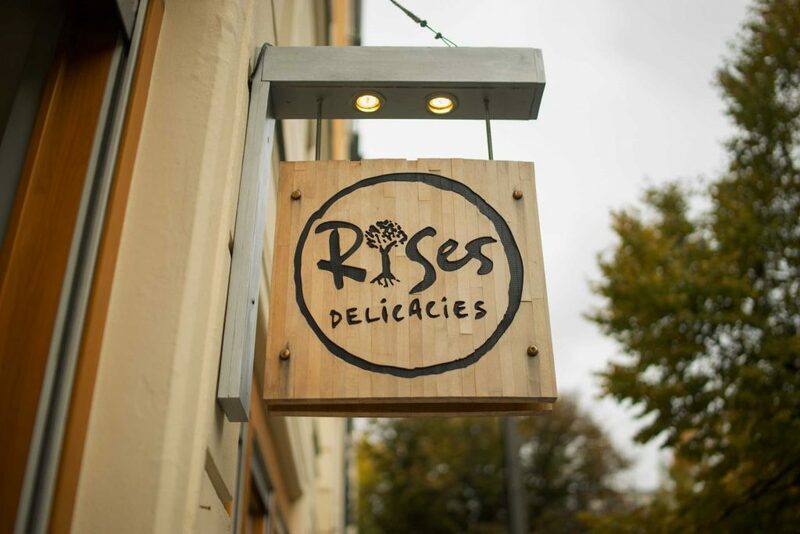 At Rises you can also choose from a wide selection of fantastic and fragrant teas, the hibiscus and rose tea I had was like diving into a flower garden. The teas and all the other ingredients can also be purchased in the shop and the food at Rises is really the perfect showcase for all this lovely produce.The quality of the ingredients speaks for itself at Rises and you should also be prepared to pay a bit more for some of the food, especially the Meze plates from the speciality menu are pretty small and you’ll easily spend 20€ a head here. 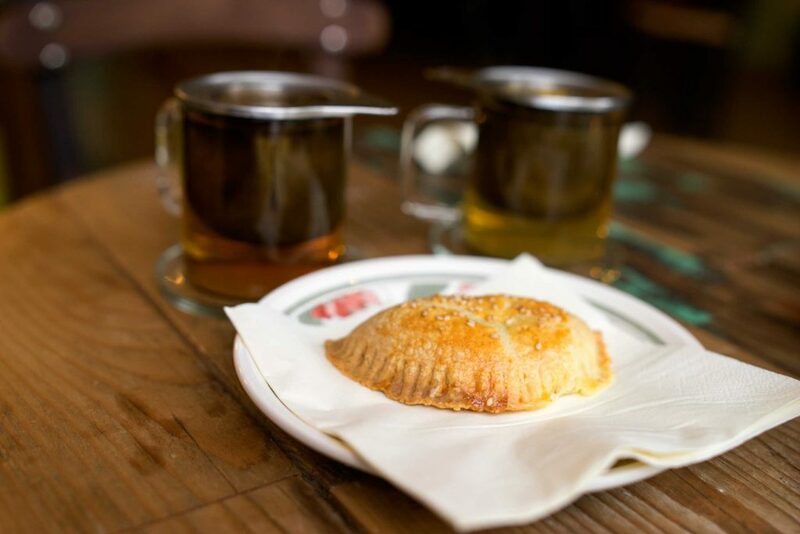 Same goes for the fantastic tea selection, here you’ll pay around 4€ per glass. The moussaka and meatballs are well priced though. 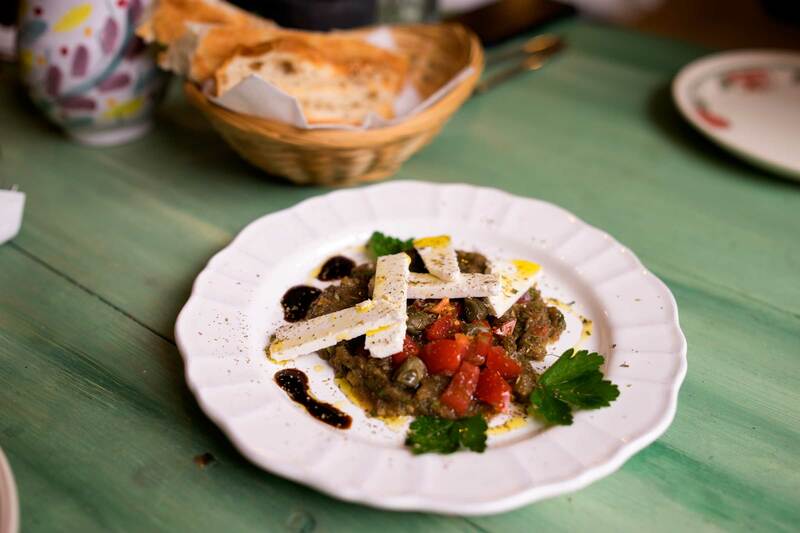 Rises Delicacies is a fantastic little gem in Mitte and also truly a Greek restaurant that stands out from its peers in Berlin. 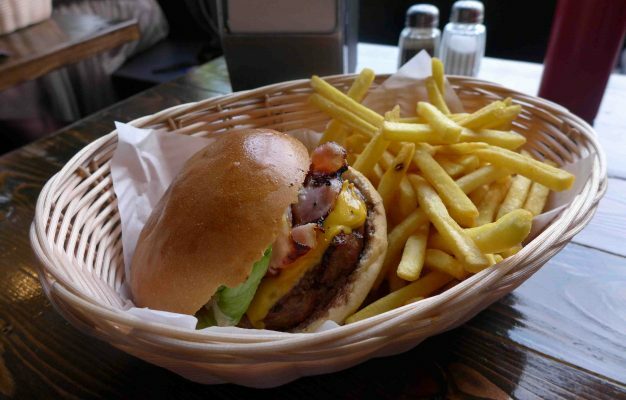 While I as writing this article, I realized that this is the first Greek restaurant in Berlin I’ve ever reviewed. It’s not that I haven’t visited Greek restaurants, I’ve just never been able to recreate those culinary experiences you can have in Greece. 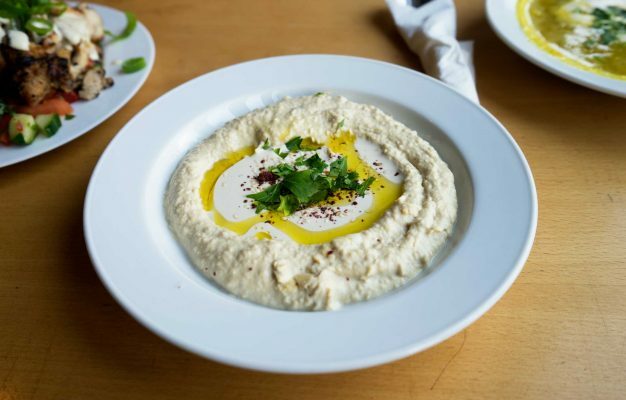 The reason is simple and a visit at Rises will make this as clear as ever, Greek cuisine is very produce focused and you just don’t get the ingredients in the same quality here. At Rises you do, you might pay a few bucks more but for a piece of Athens in Berlin I think that’s totally worth it.